On Friday, I went to Cleveland for an event called Project Tunic at the Cleveland Museum of Art. The event was set up like Project Runway. 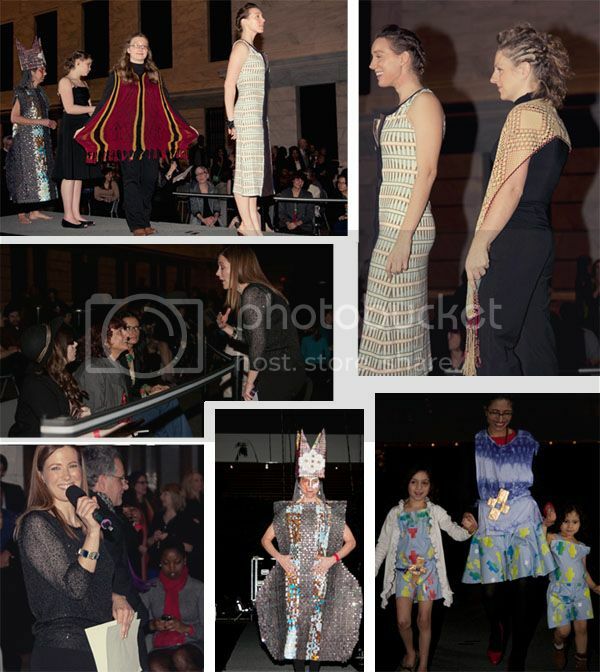 Local designers created a look (or a few) that were inspired by the Wari's. The Wari's are described as "the time between 600 and 1000, long before the Inca, the Wari forged a complex society widely regarded today as ancient Peru's first empire." Which is totally fascinating because a lot of information about their culture is still being discovered. Before the event, we were given a personal tour of the exhibit from the curator (also one of the judges). It was incredible and very informative. I learned a lot about the Wari culture and fashions. Which was mostly intricate and elaborate tunics with repeating patterns and beautiful details. It was a nice prequel to the event. The runway show was in the atrium and it was BEAUTIFUL. The whole set up was very elegant and incredibly perfect. There were fifteen local designers that were sending pieces down the runway. The idea was for the clothes to be inspired by the Wari culture -- the patterns, the technique, the details, and still be modern and wearable. There was little bit of everything. The fifteen designs went down the runway in a flash and it was very fun and surreal to sit on the side of the stage and making notes about the designs. I felt very official. 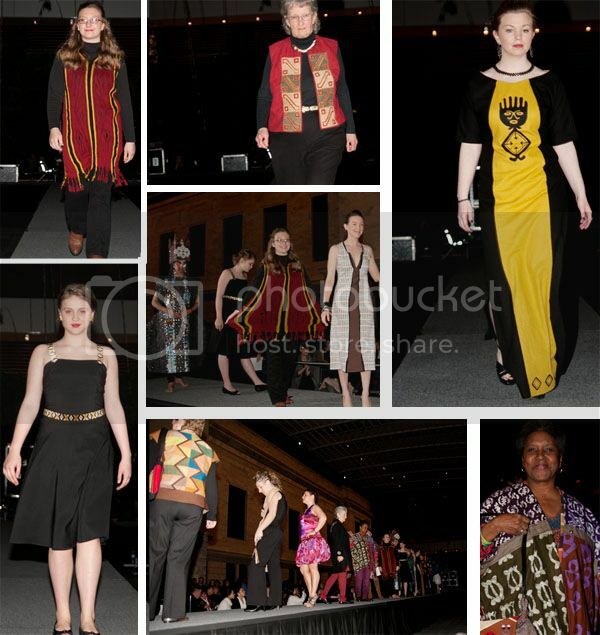 Once the runway show was over the judges and myself went to deliberate. The judges were Sue Bergh (art curator), Tina Cassara (textile professor @ Cleveland Institute of Art), Valerie Mayen (Owner/designer of Yellowcake), and myself (the fashion blogger, of course). We were of varied backgrounds and view points which made the judging process really fun and fair. We had to pick a 1st, 2nd, 3rd, and a curators choice. There was also a People's Choice award. First place was a beautiful scarf, second place, a red sprang tunic (pictured above), and beaded straps/belt. We really tried our hardest to select the ones that were very Wari inspired and every day. Sue and Tina were very insightful in that department. I was happy with the results and am still swooning over the scarf. Overall, the event was an absolute success and a total honor! The contestants blew me away and so did the entire event. I've never been to anything like it. If you are local, you should check out the MIX events at the Museum. They take place the first Friday of every month and are themed cocktail hours. For more information, click here.